'Post-Influencer' Marketing Platform Launches. Powered by IBM Watson. Props, the first holistic marketing technology platform for authentic content creators and marketers, launched while announcing its leadership team, investors, and advisors. Coinciding with the launch is the completion of $5.5 million in investment capital, according to president and CEO Joseph Perello. Investors include Paul Speaker, the co-owner and former CEO of the World Surf League; Hari Ravichandran, founder of the technology conglomerate Endurance and now the CEO and Founder of Jump Ventures, a scalability infusion firm that invests to drive exponential growth; and Axispoint, a technology development firm specializing in content and blockchain applications. 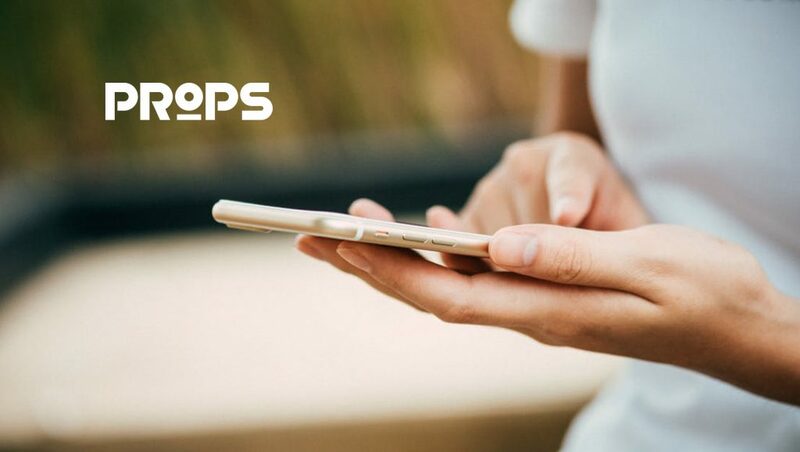 Props is the only integrated technology platform that merges original, meaningful content with leading-edge AI. Leveraging IBM Watson, brands align with relevant, independent content creators to publish, share, boost, promote, measure and optimize authentic content. Stories are seamlessly distributed to both creators’ and brands’ native media channels, shared and boosted on their social media feeds, and promoted through digital ad networks and search. Props is definitively not an “influencer” platform. It is designed to support and extend the reach and prominence of real content creators who meet three important criteria: 1) they are professional storytellers (writers, photographers, filmmakers, and podcasters) with a track record of making compelling content; 2) they are subject-matter experts who are dedicated to their field of passion; and 3) they have naturally enrolled a set of devoted followers who trust their expertise. Props is led by Joseph Perello, formerly the first CMO of the City of New York, appointed by Mayor Michael R. Bloomberg. Joe was VP of Business Development for the New York Yankees, a principal in David Bowie’s internet venture, UltraStar, and the co-founder of a NYC-based digital agency. Head of Product at Props is Mary Aldon. An artist and one of the first team members at Props, Mary is an advocate for creating authentic connections between brands and professional creators. Previously, Mary led enterprise-wide marketing technology implementations at Interbrand and Siegel + Gale. Oliver Blodgett, Head of Artificial Intelligence: Blodgett was previously an executive with IBM Watson. After spending the last five years working to commercialize IBM’s innovative and leading-edge artificial intelligence platform, he joined Props, both as an investor and as the company’s technology and AI leader. Oliver will oversee the implementation of AI and other technologies into the Props platform, and help brands and creators leverage the deep insights into content performance uncovered by Props and Watson. Scott Powell, Head of Development: Scott is the founder of Axispoint, a custom development firm specializing in building software and blockchain applications in the content, media and music industries. As a strategic investor and part of the management team, Scott leads the Props development organization. Previously, Scott and Axispoint created the software that powers the rights and royalty management systems for EMI and Warner Music. Axispoint creates custom software applications for the NFL, New York Times, Vice Media and other media enterprises. Rachel Lightfoot Melby is an 8-year veteran of Google and YouTube and also an investor in Props. She is the founder and chief brand builder of Catchfoot and Run. Lee Sosin was SVP of Hearst Digital Media, VP of Time Inc. Studios, VP of Strategic Solutions for Yahoo, and a co-founder of America’s Channel. He is a consultant and advisor on brand, marketing and content strategies. Patrick Hanlon is the author of the content marketing playbook, “Primal Branding,” and also an investor in Props. He is an award-winning creative director and the founder of Thinktopia. Lark-Marie Anton was deputy press secretary for Mayor Michael R. Bloomberg, chief communications officer for Endurance International and SVP at Hertz and Loews Hotels. She is currently the chief communications officer for Intrusta. Sara Arnell was an editor at Vanity Fair, as well as co-founder and CEO of the Arnell Group. She is the founder of KARMiC and a professor at Parsons School of Design. David Sussman was general counsel and chief operating officer of the New York Yankees, general counsel of MTV Networks, chief legal officer of NBC Universal’s Distribution Group and is now special counsel at Jenner and Block, LLP. Early Props investors include former Audible.com CTO Guy Story, Better Mortgage CEO Vishal Garg, and his 1/0 Capital fund, and Props co-founder and former R/GA executive creative director Pat Stern.